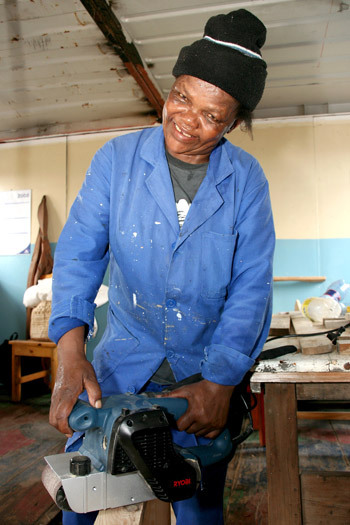 The carpentry unit which began in 2007 has been giving many of the residents of Missionvale a new sense of pride and the opportunity to better themselves as they learn various skills in carpentry. The group of individuals recycles donated wood pallets and other material to build a variety of different projects. They are currently building benches to be placed throughout the Missionvale Care Centre area offering people a comfortable place to sit and enjoy one another’s company.